Design it, Make it and Wear it!. 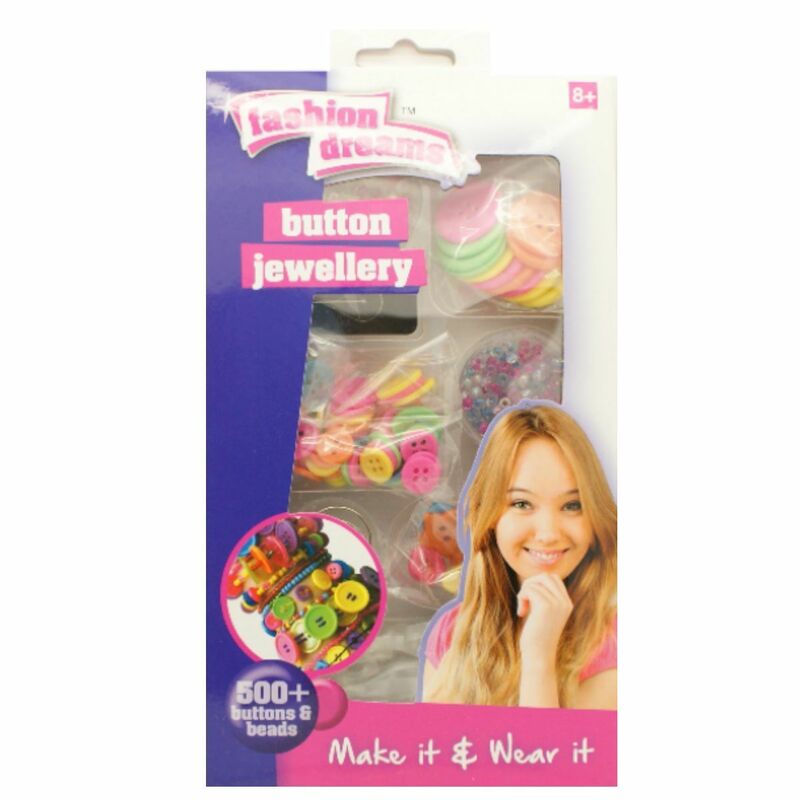 With this button jewellery kit you can design colourful button bracelets/ earrings, let your imagination run wild and create colourful button bracelets/ earrings of various button sizes. With this flower kit you can design colourful flower jewellery which you can also wear in your hair! 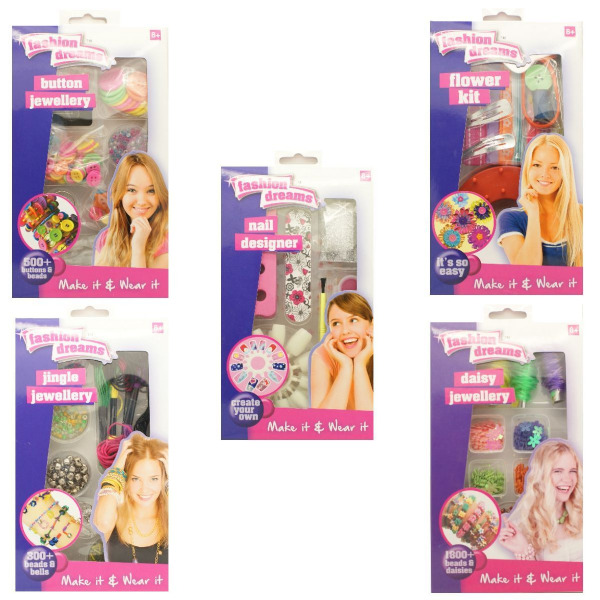 Let your imagination run wild with this Jingle Jewellery, you can make bracelets or earrings. 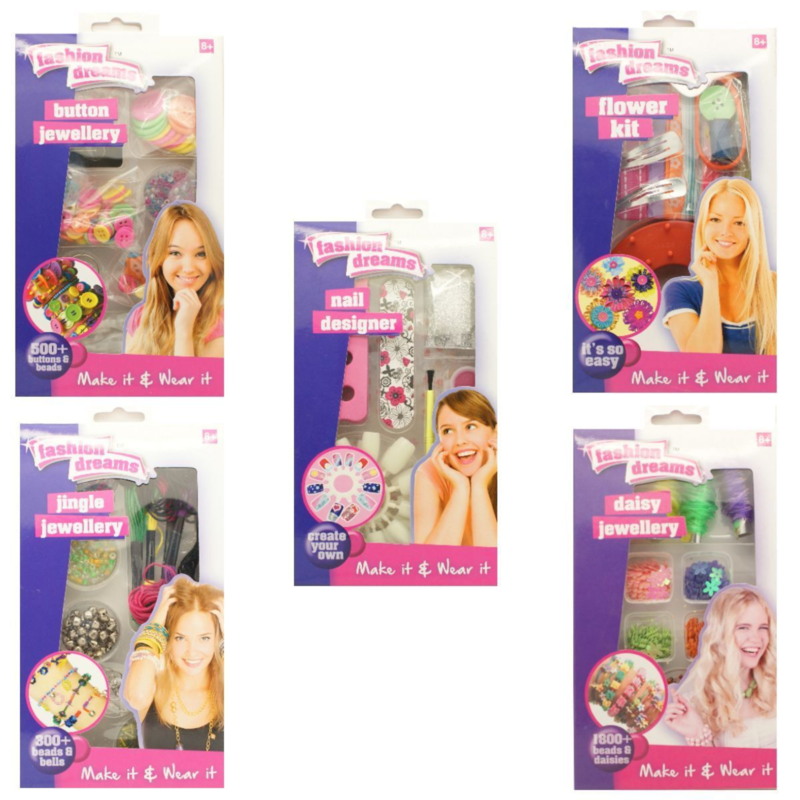 Design it, Make it and Wear it. Design these false nails how you want, you can paint them, glitter them or even sticker them, once created you can then wear them.